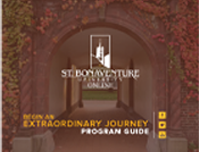 St. Bonaventure University’s online Master of Science in Education Clinical Mental Health Counseling will help you channel your passion for helping people into a career. The program is specifically built to prepare you for the licensed professional counselor exam and beyond. Through engaging coursework and in-field practice, you’ll learn to support individuals, families, and groups in overcoming personal challenges and accomplishing their goals. Establish Strong Professional Foundations — Understand the essential concepts and fundamentals of counseling, and apply your learning as you practice in the community. Cultivate Your Spirit of Service — Join a like-minded network of students and faculty with compassion for people in need and the drive to make a difference. You’ll discover your worth as a counselor and the inherent dignity of your clients. Develop Human Perspectives — Learn the specific needs of communities and populations, and gain strategies to improve their outcomes through a variety of counseling practices, including crisis counseling, addiction counseling, research methods, and more. Graduates of our online master’s in clinical mental health counseling program exemplify extraordinary goodness through the individuals they counsel and their greater community impact. This course helps educators and counselors exercise and expand their critical thinking skills by critique and generation of research projects or publications. The course aims to make teaching and counseling work easier and more effective by developing skills to solve research problems. Candidates will recognize the characteristics of well-designed research and be able to identify what methodologies for data collection and analysis may be used given the research question, as well as write acceptably formatted research papers. The course acquaints the student with the basic knowledge base and skills required for the practice of counseling. Classroom work will focus on the development of specific counseling skills. Students will use role play, audio and videotapes to facilitate the learning process. Additionally, students will explore counseling theory and research. As more people seek mental health counseling services, the Bureau of Labor Statistics projects the employment of mental health counselors will grow a remarkable 23 percent from 2016 to 2026. That’s more than triple the average for all occupations. St. Bonaventure’s online clinical mental health counseling master’s degree will prepare you to change the lives of people in diverse environment. Our accredited program provides students with an educational path that combines quality and affordability. With a focused curriculum, dedicated support from faculty and advisers, and internship placement, graduates have a 98 percent pass rate on the licensed professional counselor exam. Individual and Group Counseling Competencies — Learn different approaches for prevention, intervention, and crisis intervention, and analyze and use data to improve the efficacy of your programs. Cultural Competencies — Explore the issues of diversity, equity, advocacy, and opportunity, and understand the factors that influence the personal, social, and intellectual functioning of different cultures. Communication — Master the vital skills of listening, socialization, boundary setting, and empathy. Critical Thinking — Evaluate relevant research with a scientific mind to make assessments, diagnoses, and develop treatments. The Business of Counseling — Examine the profession of counseling, learning a counselor’s role and ethical and legal responsibilities. This program is very well organized, academically rigorous, and yet manageable for someone like myself, who is working full time, and raising two young children. The quality of my instructors, and the connectedness I'm feeling toward my classmates in this cohort have made me feel like a real part of this university community. 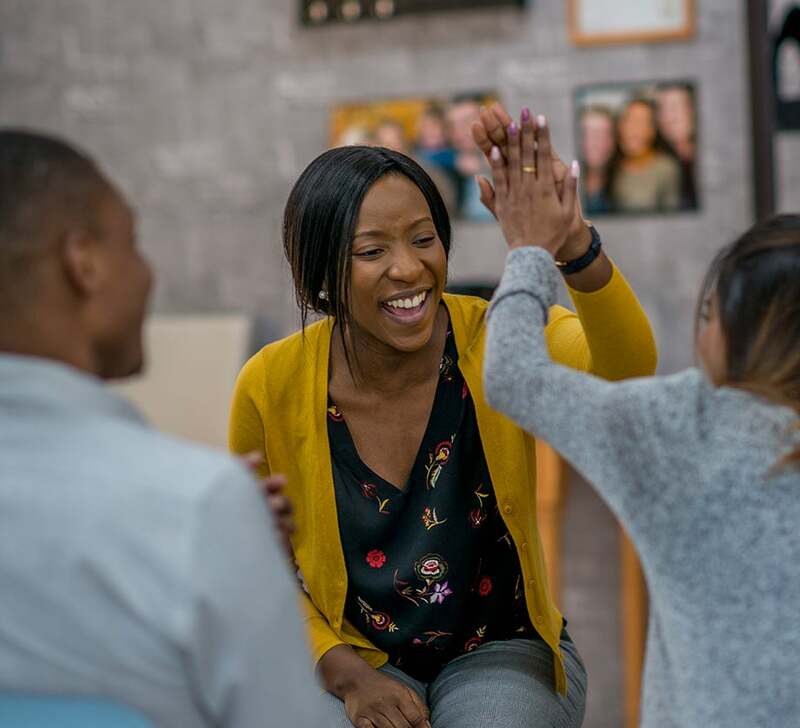 As a licensed professional counselor, you’ll have the opportunity to connect with and help people, observe successful outcomes, and build an autonomous career. If you’re looking to change professions or advance your skills in social services, take the first step towards greater career fulfillment with an online master’s in clinical mental health counseling. 1Are Psychologists Happy In Their Jobs?